John Wood is a 5th generation farmer in Missouri. John is a true pioneer in the grass-fed beef movement and we owe him much gratitude for persisting in his work and research. “It’s in my DNA. I’m Scotch-Irish, stubborn and determined and I started doing this before it was fashionable,” said John. Going against traditional teaching for feeding animals, John raised his first grass-fed animal in 1997. Afterward, he raised a handful of grass-fed animals that, when compared with grain-fed, yielded better flavor and more tender meat. He then replicated his experiment and couldn’t believe the results. In 1999 he took samples to two different labs at the University of Illinois and Iowa State University. At the time you couldn’t get a commercial CLA test, so the universities ran tests and they came back with great results. In January 2000 John went back to the family farm he was raised on and teamed up with four family members. The first few years were stressful, working on something that no one else was doing, but they started to get real traction in 2003. They gained more momentum after one of the most celebrated food writers at the time, Mary Ann Merles of the New York Times, announced them the winners of a taste test. When the viral movie Food Inc. was released in 2006, it set the tone and became the real tipping point for their work. Large groups of people were exposed to the issue and began asking questions and over the past 2-3 years, specifically, US consumers have become much more educated. Know Your Food. Know your Farmer. “Know your food, know your farmer. You need to develop a bond with the person providing your food. Have a personal relationship with the people purchasing your food. We work hard at this thing 24/7 and we want you to feel this passion. When you go to Amazon and place an order, it may all you’re thinking about is trying to save money or trying to do something easy. If anything goes wrong and you need to ask some questions, it’s a whole different game. Like John, our partner and local friend, we want you to know who makes your food. We are committed to supporting family farms, and we want you to feel the passion behind what we do. Reach out anytime! Ready to experience the taste of ethically-raised meat and Moink difference? 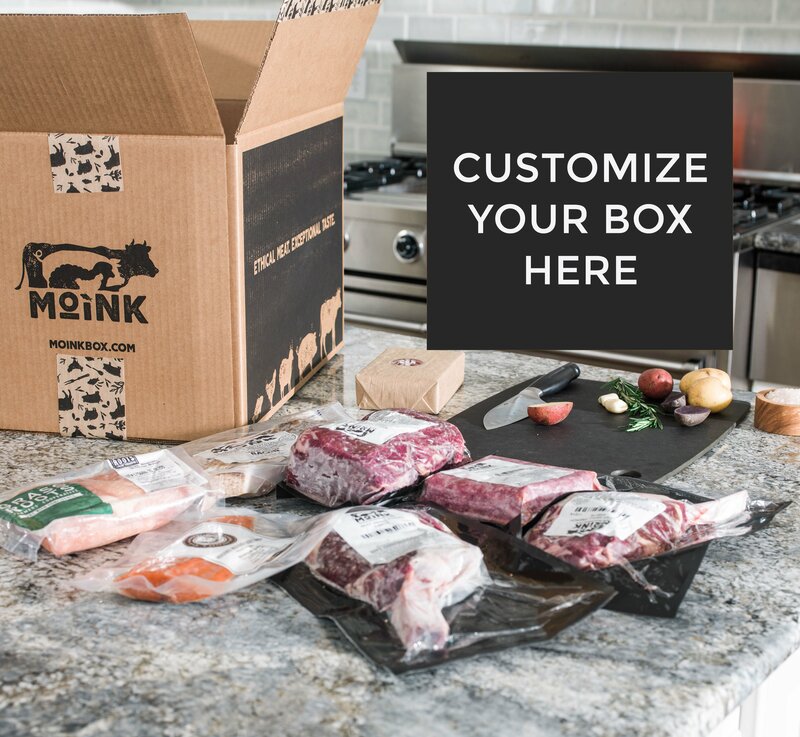 Order a Moink Box today.